Stamp Duty – What are the alternatives? Stamp duty has been in the news a lot recently – and with good reason. It’s been revealed that nine out of ten house sales in almost half of London boroughs will get hit by stamp duty of some three percent in the next five years. The report was released by the Taxpayers’ Alliance and based on property price rise forecasts by Savills Research. It shows that nearly 40,000 people buying a home in the UK capital would see the cost of the unpopular property levy jump by thousands by 2017-18 due to having to pay a higher rate. It was also reported that nine out of ten homes in boroughs such as Lambeth and Wandsworth, Islington, Richmond and Kingston will be worth enough to fall into this three percent tax band. Whilst this is definitely good news if you’re thinking of buying in these areas, it’s a massive disincentive when it comes to moving. Even first time buyers in London cannot avoid the tax – after all it kicks in at one percent at £250,000 – so unless you’re buying a shoebox will be pretty hard to avoid! Generally it’s hard to see how such a punitive tax can benefit the economy in any way. Massive inflation has ensured that the bill has galloped out of control and respective governments have to date not upped the threshold. Right now the system means that you pay one percent, three percent or whatever on the WHOLE value of the property. This doesn’t apply to the income tax system in the UK – if your salary is in the higher tax bracket you only pay 40 percent on the amount in that threshold. When it comes to Stamp Duty if a marginal tax was adopted, that would be a substantial tax cut for those looking to buy/sell and would above all benefit those at the middle to low end of the market. Amazingly, if the £250,000 threshold HAD risen in line with inflation, according to the Nationwide index it would now be £675,000 whilst the £500,000 threshold would be £1.3 million. 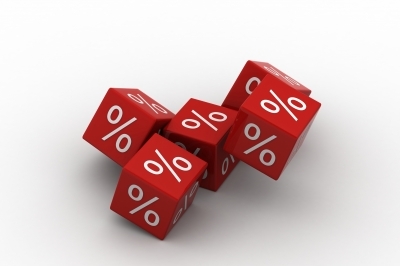 In a nutshell, stamp duty currently has five rates, between one and seven percent. If the thresholds were doubled, according to the research, 77 percent of all transactions in 2011/12 would have been exempt from the tax. What seems strange is that on one hand the government introduces schemes such as Help-To-Buy, effectively lending first time buyers who’ve small deposits money to buy property. On the other hand, stamp duty is massively onerous for those very same first-time-buyers! Surely it would make sense to directly reduce or abolish the rate for first time buyers? Each of these proposals would provide economic stimulus with minimum cost to the Exchequer. As the economy shows some green shoots of recovery, it’s time for the government to act on stamp duty, before it becomes even more burdensome.